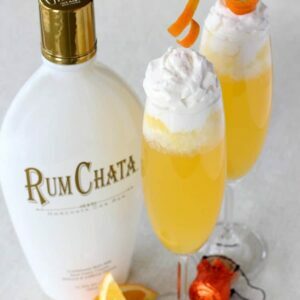 RumChata Creamsicle Champagne is the best cocktail to celebrate with! It’s fun, festive and brings just the right amount of fun to any party! Holiday’s call for champagne. 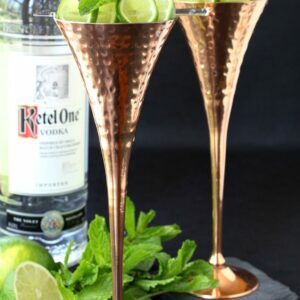 We’ve definitely made a few champagne cocktails like this Sparkling Whiskey drink or our Champagne Sangria. 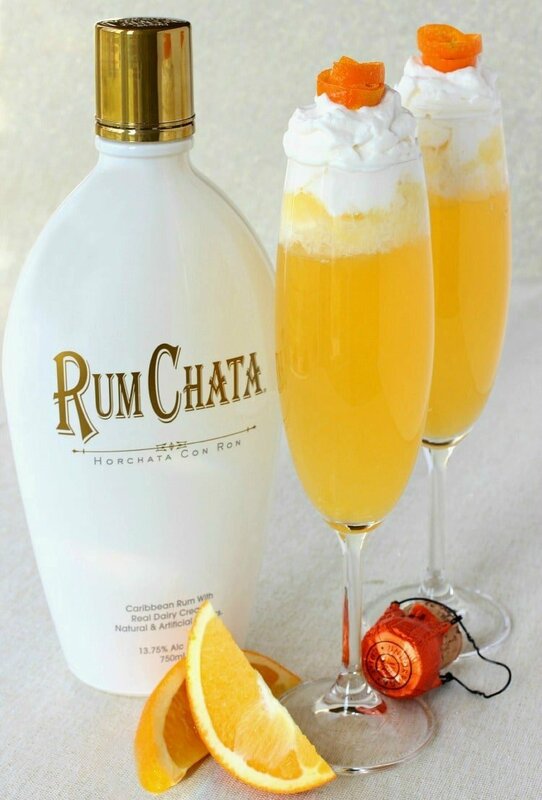 But take a little RumChata and add it to some fresh whipped cream…and you’ve got yourself a champagne cocktail that everyone’s going to love! Today is also the second Anniversary of Mantitlement™! We can’t believe that it’s been two years…we had to think of a good drink to celebrate with. We’ve teamed up with so many great people along the way like Food Fanatic (we do lots of cocktails for them) and TheBar.com which is a site owned by Diageo (we also make cocktails for them) and most recently we’ve done a couple of recipes for Lori Lange over on her site, Recipe Girl. We’ve had a blast working with them so far we hope it continues! 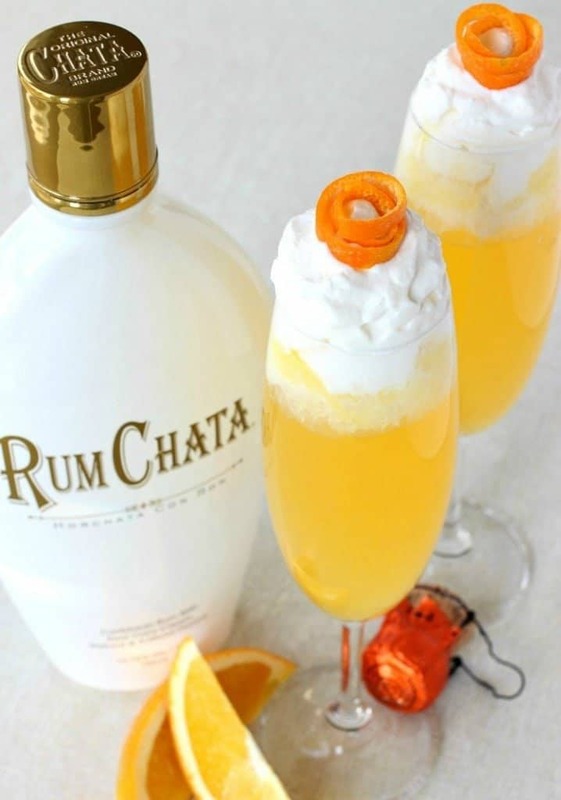 These RumChata Creamsicle Champagne cocktails would also be perfect for celebrating on New Year’s Eve or definitely if you’re planning a brunch on Christmas day or any holiday. Pour some orange juice in the bottom of a champagne flute and then top that off with champagne or prosecco. And a nice orange twist for garnish. You are going to have to play bartender with this one though, or give the job to someone who wants it while you’re cooking. But like I said they couldn’t be easier to make. 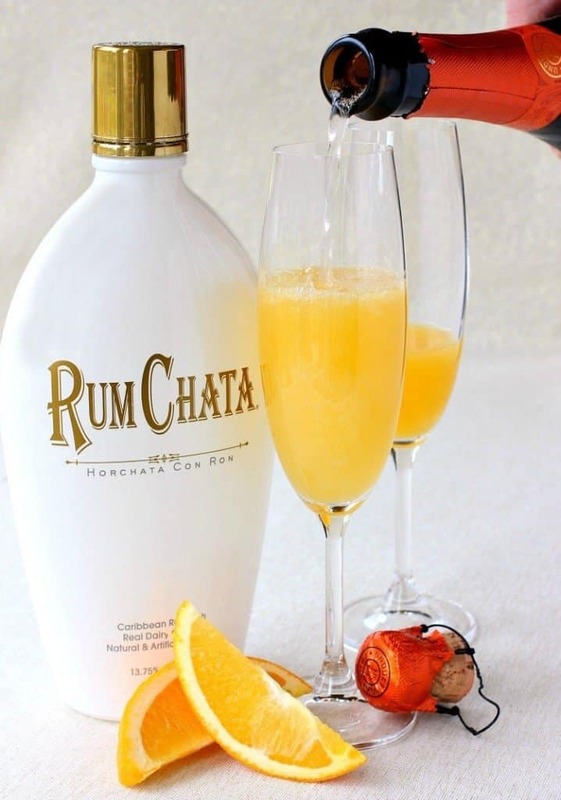 And for a bonus – you can make the RumChata Cream ahead of time so it’s really all about the assembly when it’s time to party! Enjoy! 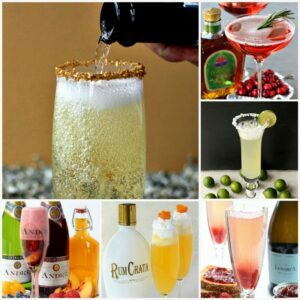 Makes 4 drinks, you’ll have extra RumChata cream and champagne for more! In a large bowl using an electric mixer, beat together the heavy cream with the RumChata until thick. 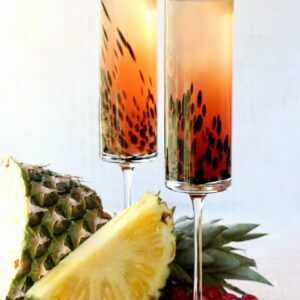 Add 2 ounces of orange juice to each champagne flute. Fill with champagne, then top with the Rumchata whipped cream.